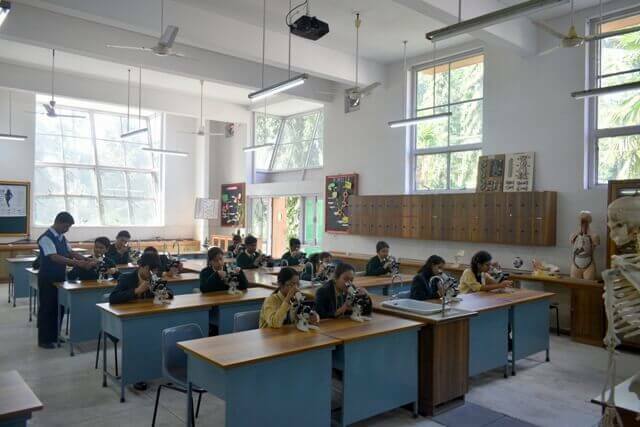 The Assam Valley School has two large, spacious biology laboratories with state of the art facilities. 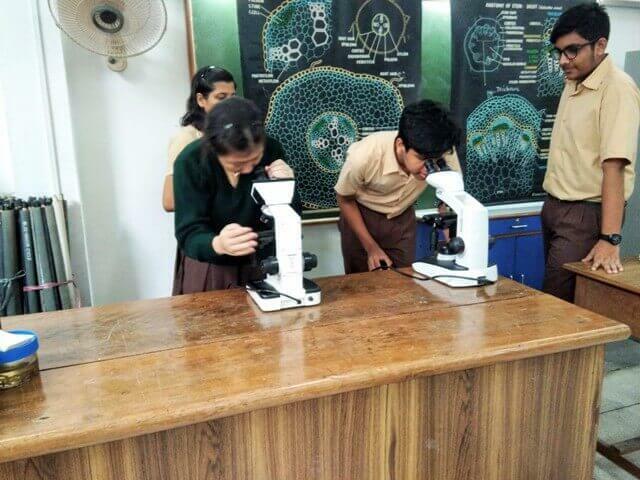 Both the labs are equipped with the latest technology and equipment that are required for the ICSE and ISC students. 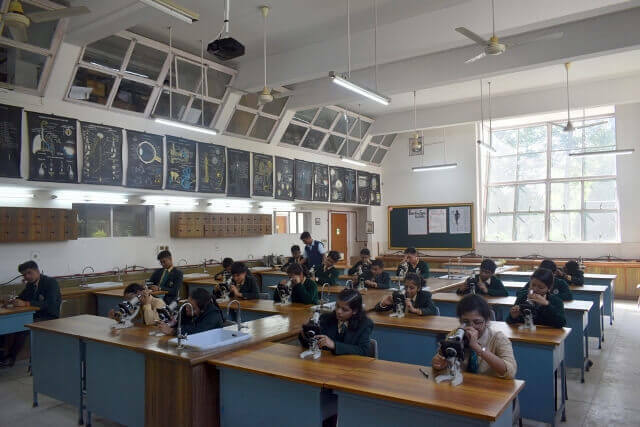 The labs have a wide range of preserved plant and animal specimens which are approved by the Ministry of Environmental Affairs. 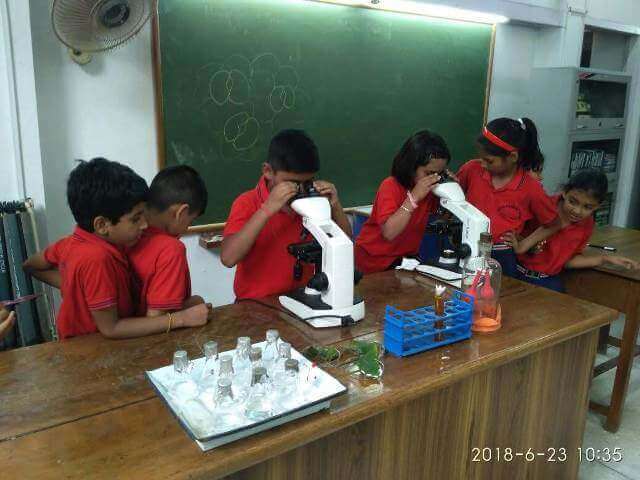 They also have various models which are used as teaching aids to give the students a clear idea of different biological structures. 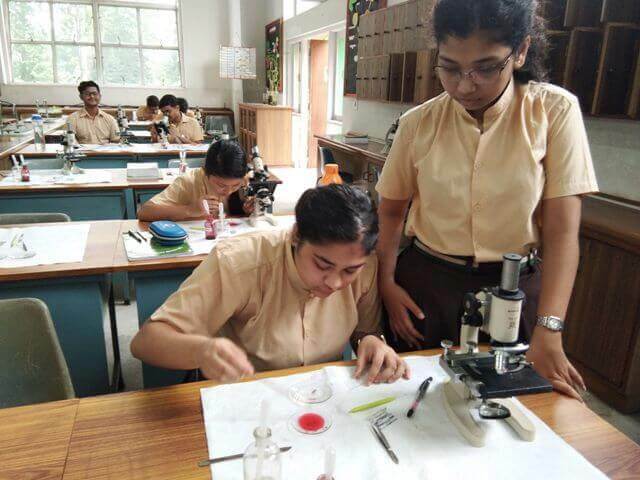 These labs are equipped with all the facilities to perform advanced experiments like Tissue Culture, DNA Isolation, Gel Electrophoresis, Chromatography, Enzyme Activity, Mitotic Cell Division and Ecological Experiments to name a few. 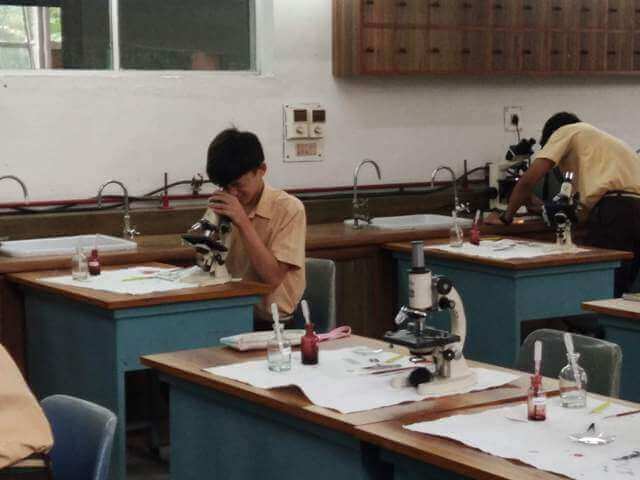 They have all the equipment like simple and compound microscopes, binocular microscopes, water baths, hot plates, centrifuge, distillation unit, clinostat, human skeleton, Ganong’sPotometer as well as Darwin’s Potometer and many more. They have all the charts that are required across all levels. 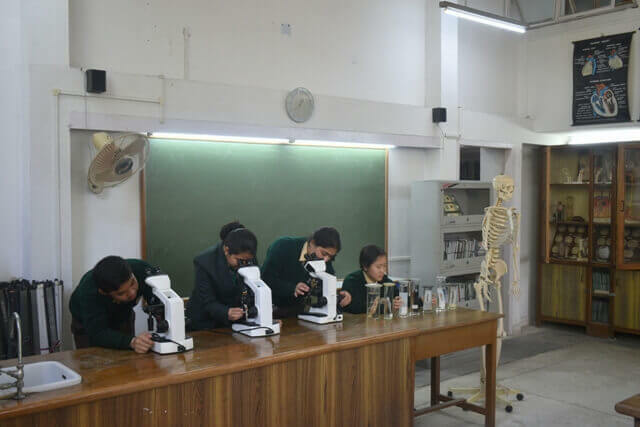 The students are taught to handle all these equipment which facilitates them in their further studies. 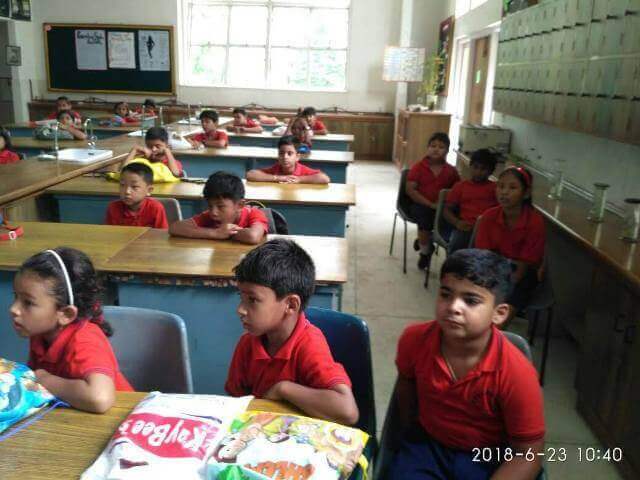 They also have a facility for e-learning. 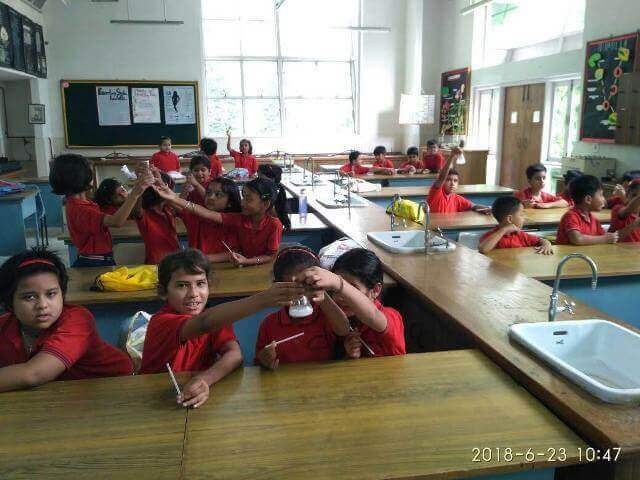 The students from all classes, including classes 1 to 4, visit the labs regularly and perform hands on experiments which spark their curiosity and their interest in Science. 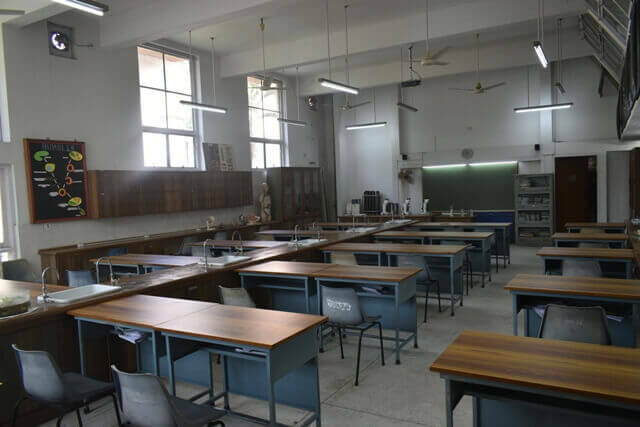 AVS is one of the few schools in India that has such fully equipped labs.